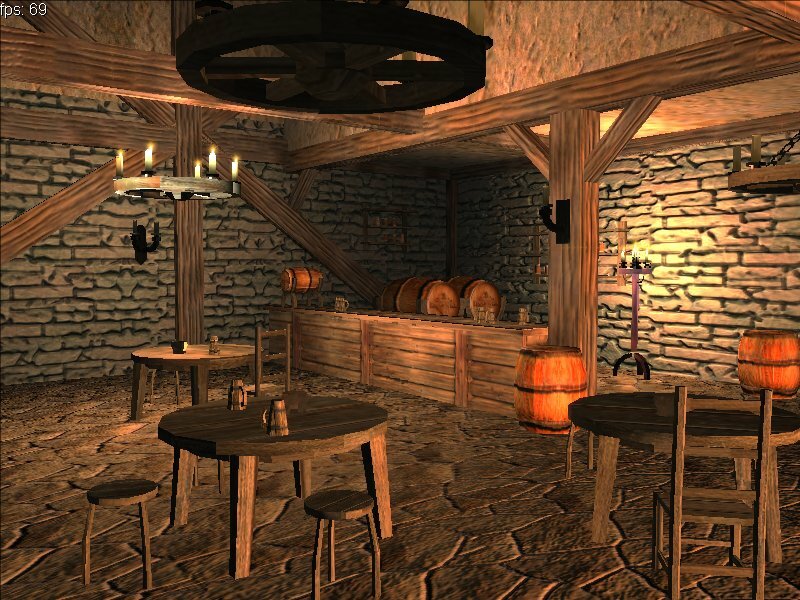 This screenshot gives an overview of the eight room of the Tech Demo, which is a nice medieval tavern. The worm hole has brought you there. Uploaded by Dr. Best (admin) on 16th of January 2008.